New mod update that offers new dimensions to explore. Divine RPG 1.7.10 adds a huge amount of new blocks and miscellaneous objects, but the focus is definitely their new dimensions. In its previous version had five, now has added one more with what you can enjoy up to six new locations, with their respective mods, materials and objects. Addition of 115 new monsters, 13 new leaders, a variety of new armor and weapons with new features and more. 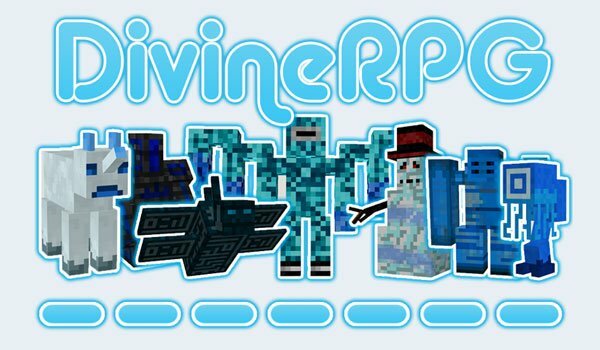 How to install Divine RPG Mod for Minecraft 1.7.10?